The apple tree is original from the tempered areas of Europe, the west area of Turkestan and the south-east and centre of Asia. It has been consumed for a very long time. In Switzerland and Italy there are proofs of apple trees from about 4,500 years ago. The main producers are countries belonging to temperate climate regions like Europe, the United States, Turkey and China. As reflected in the table, China produces 4 times the amount of apples produced by the following country, the United States. 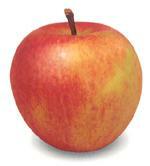 Therefore, the world-wide production of apples amounts for more than 53 million tons, of which 1/3 is harvested in Europe. The European Union imports 2,100,000 tons, of which 600,000 come from the S. Hemisphere.